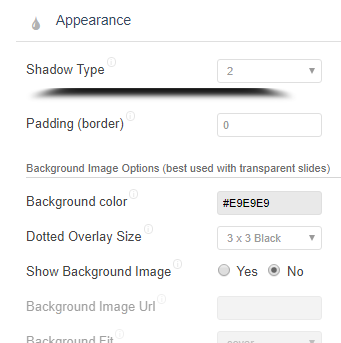 How can I remove the black overlay that's on top of the images in the Unite slider,or reduce it's opacity. Thank you for the response. That however doesn't remove the black overlay, it just creates a pattern on top of it. It was set to none,but the effect is still there. Finally solved it by add this to the Custom CSS. Thank you Jay, I had the same problem, and your solution work perfectly. If opacity is set to 1, then your image will look darker, as if a grey overlay was on top. If it's set to 0, no overlay at all. For me, 0.4 suits the best.